There’s nothing quite like the flamingo pink sunrise over a river – unless you compare it with the lilac sunset next to a lake or the crystal blue skies of an all-day ocean view. From New York to North Carolina and Oregon to Illinois, these homes prove that scoring a waterfront spot doesn’t have to mean sinking your budget. 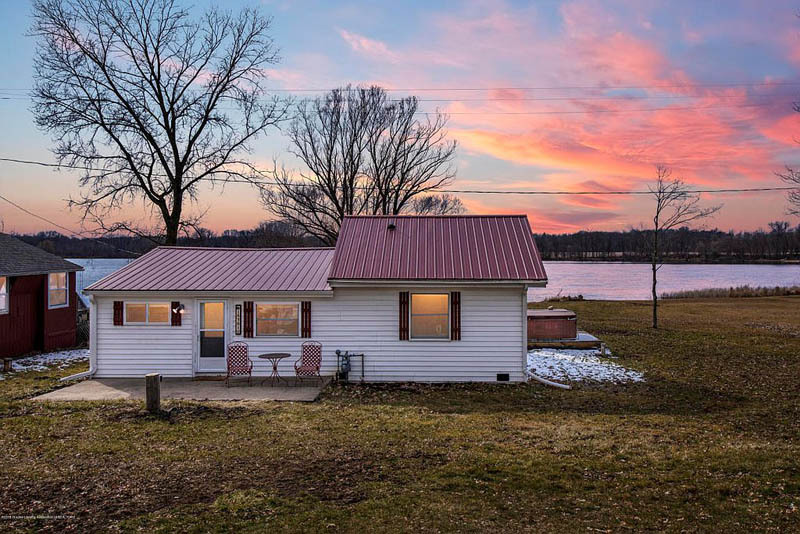 The sunset vistas from this lakefront cottage are almost as picturesque as the home itself. 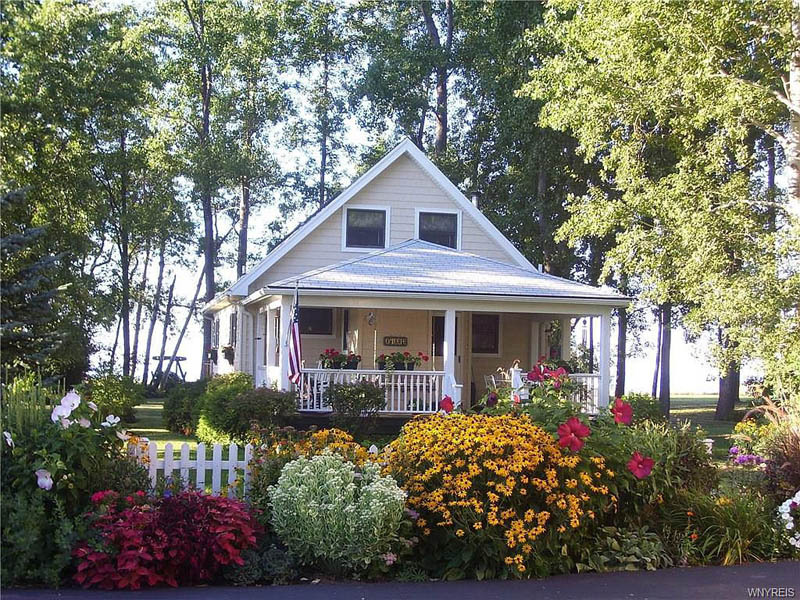 This adorable 880-square-foot house sits on Prairie Lake, known for four seasons of fishing. For those who prefer to take it easy after a day on the water, there’s a private hot tub and a lakeside fire pit. Check out more homes in Albion. Watch the boats pass by this home on Lake Ontario in upstate New York. The 2-bedroom waterfront getaway has a back porch and lakeside hammock to enjoy those cool breezes all summer long. Indoors, almost every window offers up a water view. As a bonus, a master gardener designed the lush landscaping out front. View more homes in Lyndonville. 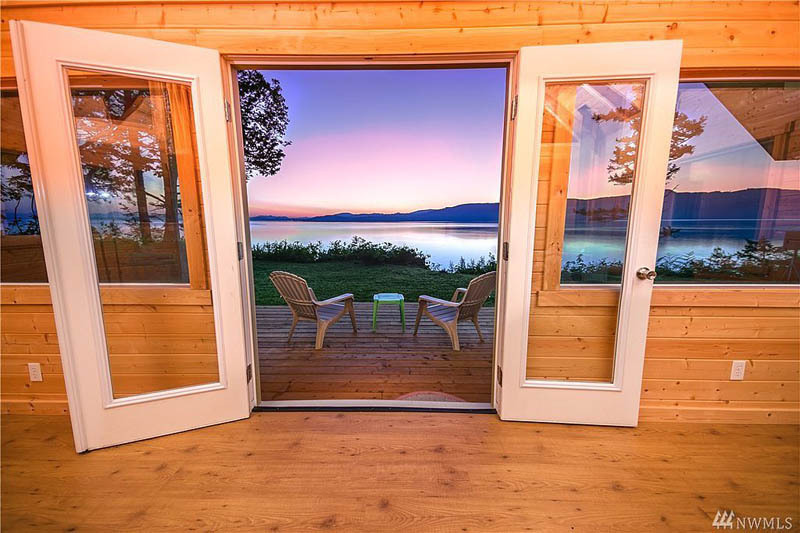 This off-grid oasis in the Pacific Northwest offers striking views of Bellingham Bay and sweeping vistas of the nearby Chuckanut Mountains. The 2-bedroom island home has vaulted pine wood ceilings and hardwood floors throughout, along with a large loft and spiral stairway. See more Bellingham homes for sale. The private deck in the backyard of this Missouri home boasts 180-degree south-facing waterfront views, making for breathtaking sunrises in the morning and stunning sunsets at night. 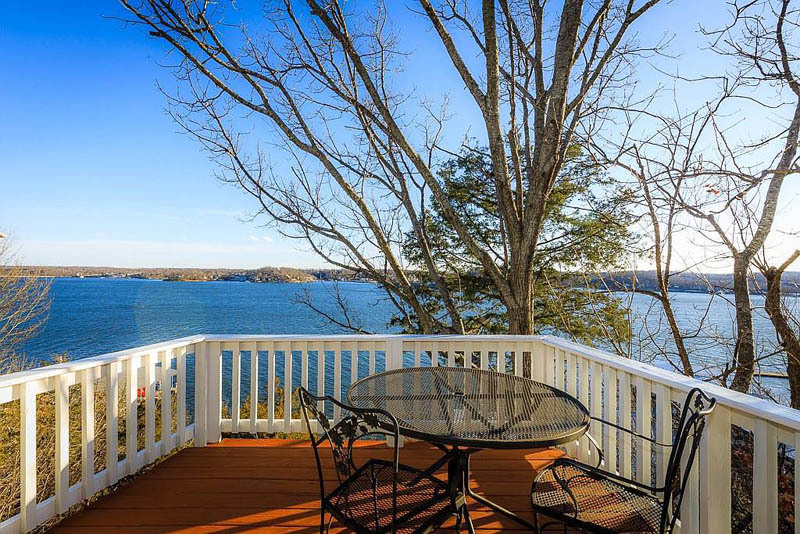 The 3-bedroom Lake Ozark lakeside spot also comes with access to a boat launch, while two of the bedrooms have decks overlooking the water. Find more homes in Ozark. 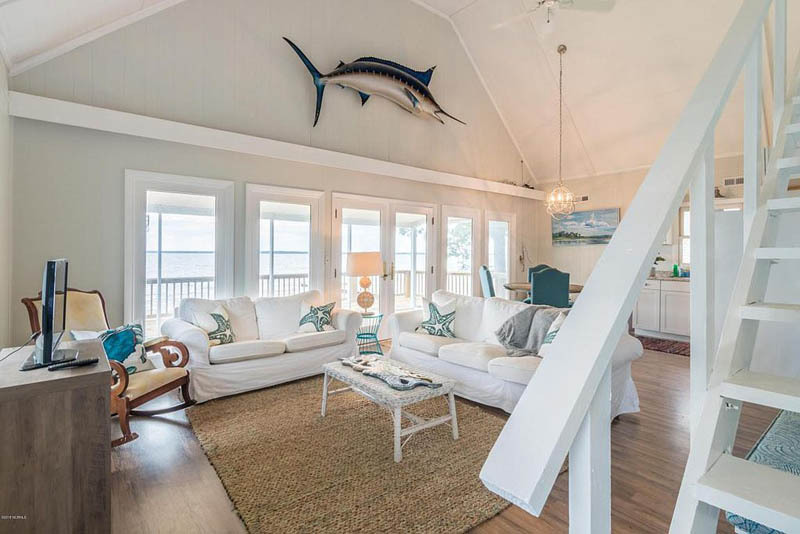 The only thing better than the lakefront breakfast nook in this South Carolina home might be the quick drive to the Atlantic Ocean just a few miles away. The 3-bedroom home also contains a quaint backyard patio for lunching in the sun, and a whirlpool tub for relaxing at night. 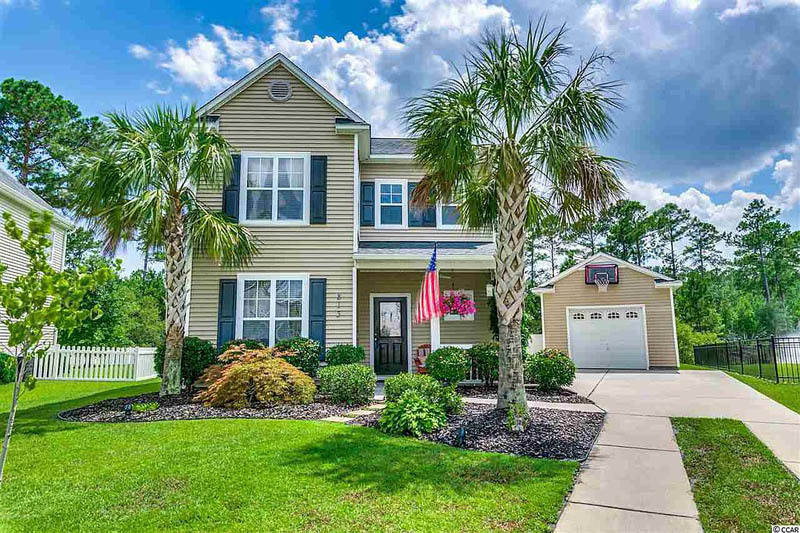 See more homes in Myrtle Beach. 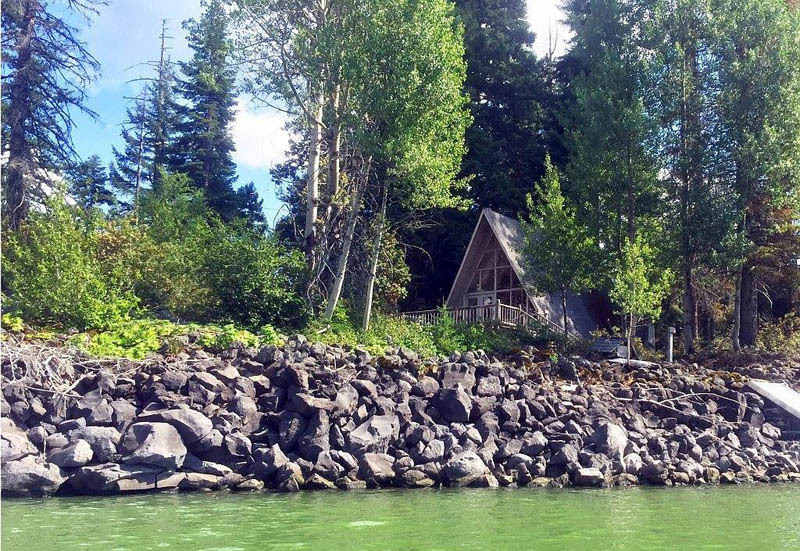 The waterfront views from this Oregon A-frame get an A-plus. The 2-bedroom getaway boasts a wall of windows for dazzling vistas of both Fish Lake and Mount McLoughlin in the distance. There’s an outdoor shower for cooling off on warm summer days, plus rustic, wooded interiors for a true vacation vibe. Search more homes in Eagle Point. A landscaped path leads to lakefront access at this spacious home in the Pocono Mountains. 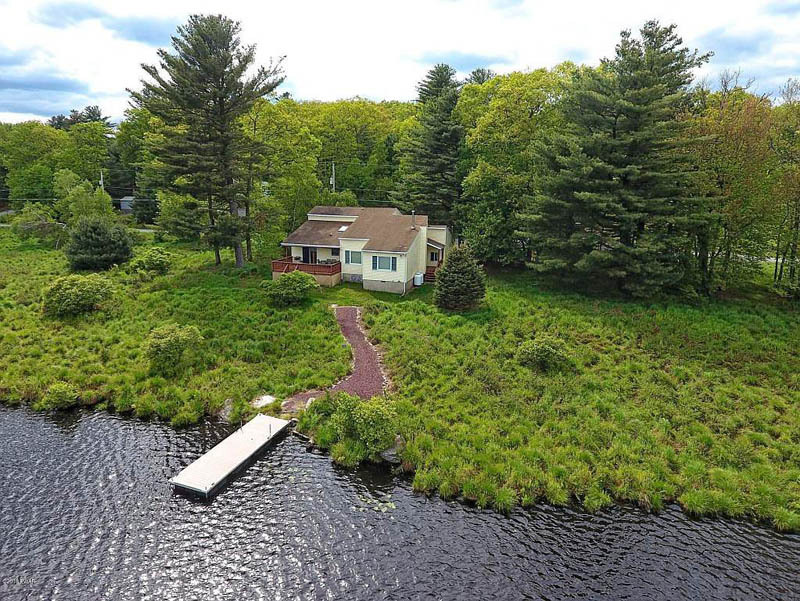 The 4-bedroom retreat comes with a private dock and boat launch on a sizable piece of land. The indoors boasts nearly 3,200 square feet of hardwood floors, in addition to a fireplace for chillier nights. 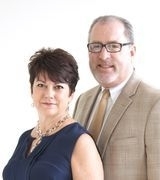 Find more homes for sale in Dingmans Ferry. A giant wraparound patio and swinging hammock offer the perfect spot to relax at this North Carolina cottage. The 3-bedroom island home is nestled between a creek and a canal, with views of the Pamlico River in the distance. There’s no shortage of scenic views from the screened-in porch and even the front yard. Check out more homes in Bath. Backyard dining is even better from a private lakeside porch. 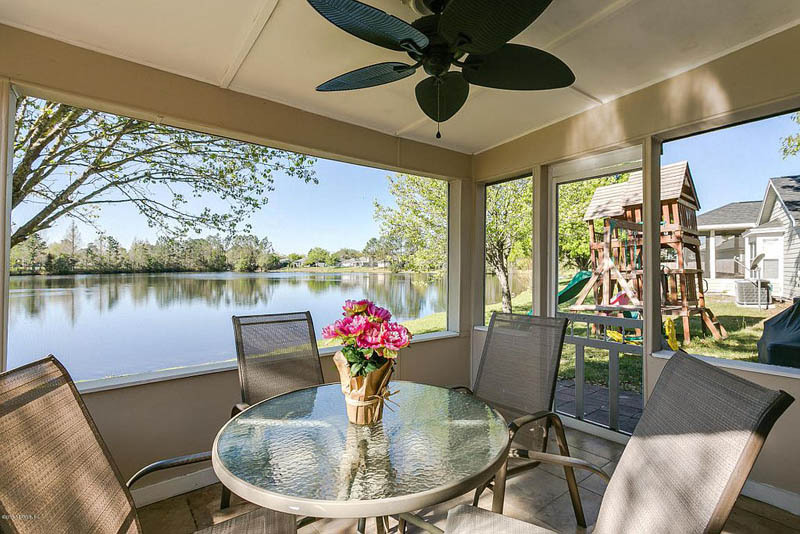 This 4-bedroom Florida home has a screened-in covered lanai to sip your morning coffee or enjoy an evening glass of wine as you watch pelicans fish for a meal. There’s a grassy backyard and a private wooden playground for the kids to enjoy.